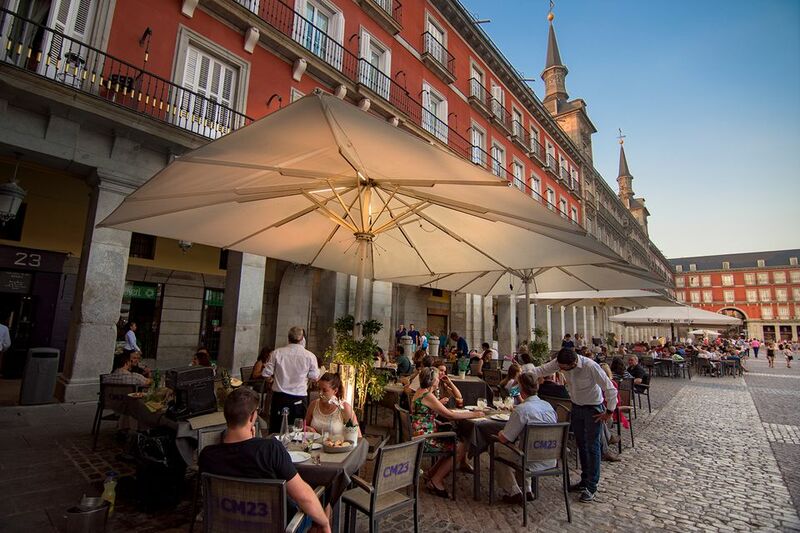 You may hear from visitors to Spain that they were ripped off at a restaurant—perhaps a bar added on extra items or a meal was overcharged. People who don’t speak the language will usually just pay the bill and grumble about it afterward. But experienced travelers to Spain will tell you that no bar or restaurant will blatantly cheat a tourist, though they may have other more subtle ways of getting a little extra from you. The vast majority of bars and restaurants are entirely honest when adding up your bill. There are a few places where unscrupulous practices take place but most problems are a matter of perception. And many issues would be resolved if the visitor understood a bit more Spanish or learned more about what to expect when dining out or having a cocktail. The menu del dia, almost exclusively found at lunchtime (and only on weekdays) is a special bargain where you get a full meal for a much better price than if you order from the from the main menu (Note: Spanish for menu is la carta. The Spanish word menu means set meal). But as the menu changes every day, few places can write it out in English. So you may find you are not offered it at all. Is this really a scam? No. It's just too much effort for most bars to translate their daily menu into English. The menu del dia always includes a primer plato and segundo plato (first and second course, broadly similar to a "starter" and "main course"). And it will usually include all of these: bread ( pan), a drink (bebida) and a dessert (postre). But, not always! Alicante is one place where charging for bread is becoming a frequent practice, though this is more a problem with tapas and with food ordered off the main menu than for the menú del dia. For those of you who insist on tipping in Spain (because you really shouldn't), you might consider the "bread charge" as the tip. Is this a scam? Possibly, though it's not aimed exclusively at tourists. It's certainly a way of making the meal look cheaper. How to avoid: Check on the menu before you order. If in doubt, ask ¿Esta incluido? (¿Es-TA in-clue-EE-do?) Is it included? IVA (Impuestos sobre el Valor Añadido) is a type of value-added tax. Usually, it is included in the price. Unlike in the U.S., where it's normal to add the tax on at the end, in Spain, this only happens in touristy places and can surprise the visitor when the final bill is presented. There are a few disreputable restaurants that will not include IVA in their menu prices so that the diner thinks they are getting a great bargain. When you enter a restaurant or read a menu, look for the words IVA no incluido (not included), or IVA incluido (included) which is the norm. Is this a scam? Depends how clearly they show the IVA no incluido sign. Usually, it is easy to see, which means they are just using the typical business technique of giving the illusion your meal is a better deal than it is. If they write it very small or in a place that’s difficult to read it's a scam. How to avoid: Look out for the phrase IVA no incluido (be sure the "NO'" is there; many places will actually inform you that it is included). Spanish restaurants often have two, sometimes three pricings. There'll be a bar price (barra), a price to sit in the main restaurant (salon) and a third price to sit outside on the terraza. It's nice to sit outside and the surcharge isn't much, but just don't be surprised if your bill is a little higher as a result. Other times there'll be a suplemento (supplement) for sitting outside, written somewhere on the menu. Is this a scam? No. The Spanish are very used to this idea. The supplement helps pay for the extra staff required to wait on the tables. How to avoid: Check the menu. There will either be two or three columns listing the charges, or some small print that gives the percentage to be added on. Paella is made using short grain rice, a good sofrito, and broth, with an assortment of toppings. It can be seafood, but not always (or even traditionally). Paella is cooked much like a risotto, the main difference being that it is not stirred while the rice absorbs the broth. Paella is not boiled rice dyed with food coloring with some chopped vegetables and shrimp stirred in. Is this a scam? Totally! Any restaurant that offers dyed yellow rice is taking advantage of the visitor who doesn't know the difference. The restaurant lacks the culinary ability or facilities to make a good paella, so they'll hope you won't notice. How to avoid: Only order paella at a restaurant that is known for it. If the price is too good to be true, it probably is. There are more ways to find and order good paella in Spain including knowing that paella is often made with meat, and, if you look carefully, the rice will have been sticking to the bottom of the pan since it is not boiled. One of the most frequent questions asked by foreign visitors to Spain is whether water from the tap is OK to drink. Usually, it is. But, on the other hand, your body needs to get used to a country's water and many tourists report that what they drink from Spanish taps doesn't always agree with them for the first couple of days. Also, even if the tap water is drinkable, that doesn't mean it necessarily tastes good. In Granada, the local water tastes as good as mineral water, while in Valencia it's not particularly pleasant. And how about being charged for it? Is this legal? It seems that it is, though the practice is uncommon. However, the restaurant can only do so if the charge is clearly indicated on the menu. Look for agua del grifo ​on the menu or some other indication that it is not bottled water. Furthermore, tap water can constitute part of a menu del dia. This means that if you order your meal and ask for, say, a soft drink and some tap water, they could legitimately include the (cheaper) water in your meal and charge you for the soft drink. Is this a scam? No. Eating out in Spain is cheap, partially because the restaurant expects to make a little profit from selling drinks. How to avoid: Difficult if you don't have good Spanish language skills. As you can see from these examples, a genuine "scam" is rare in Spanish restaurants, though some restaurants might try to be a bit "clever" to make a bit more money. But this probably applies in your home country too. Stay smart and you'll be fine!